I made a whole set of 12 cards with a matching tin by following a wonderful video by Brandi Barnard of Stampin' Up! 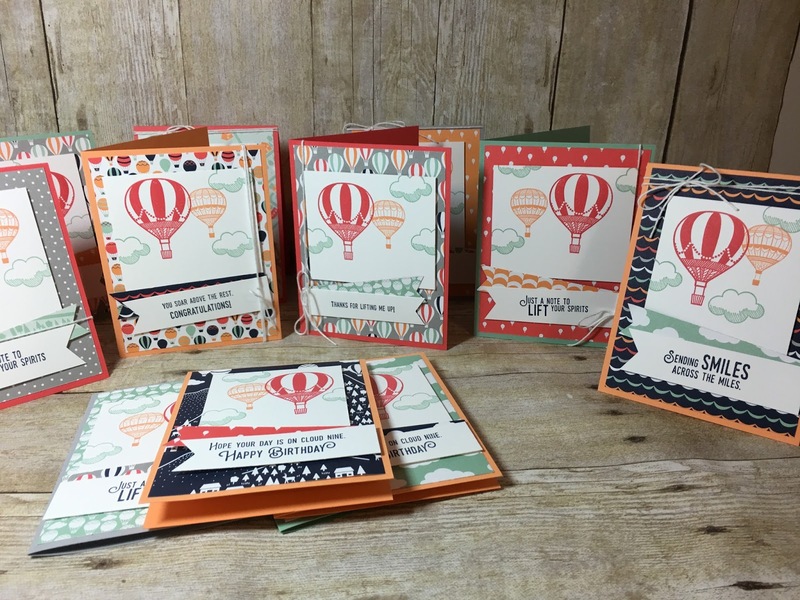 She provides specific instructions for the cards in her You Tube Video HERE. She didn't provide instructions for the tin, but I was able to make one similar. This was a fun project to make! The tin comes with 10 blank, white divider cards. I covered the front panels with some paper I had leftover from last year's Tin of Cards Kit, then stamped the dividers with the Tin of Cards Stamp Set. 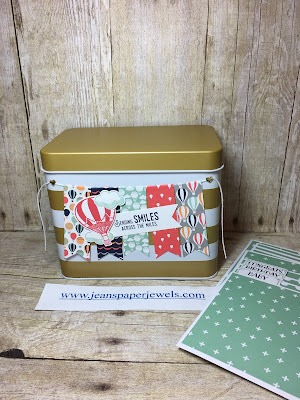 During Sale-A-Bration you can get the tin, and/or the Carried Away Designer Series Paper Pack for FREE. You choose one item for every $50 spent before tax and shipping. To get both of the items you purchase $100 worth of merchandise from my online store. I know you're going to want to make this marvelous project for yourself! 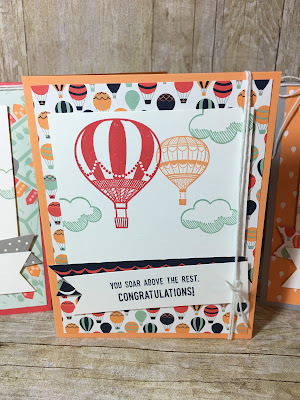 Sale-A-Bration runs until March 31, but supplies are only available while they last. Click on the shopping cart, and enjoy!